Thank you for sharing your favourite pic! i also like it a lot. This is really good. I like the scan. This is the best one that I've seen so far. 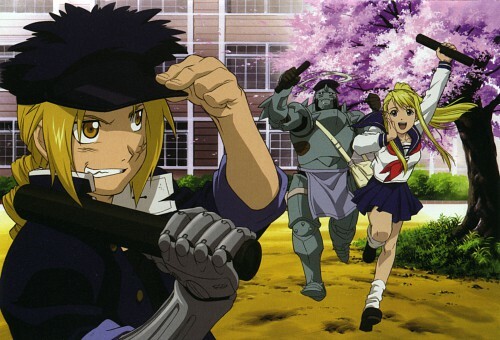 I don't know why, but Winry looks like she'll turn into a sailor scout anytime soon. waaaay! how cute! thanks for sharing!